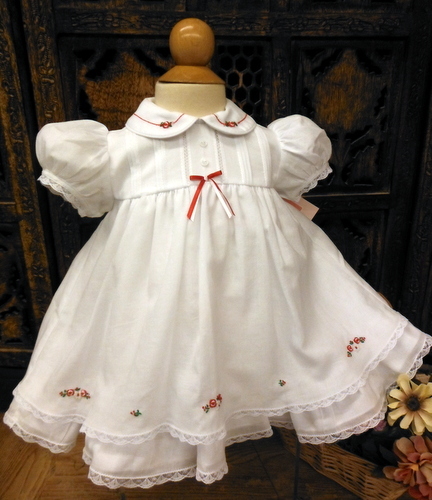 This beautiful little white cotton blend voile dress is made by Will'beth, a leading designer of beautifully detailed children's clothing for more than 30 years. 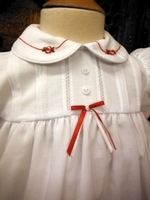 It features a pintucked yoke accented with fagoting centered by tiny decorative buttons and a red and white satin ribbon bow. 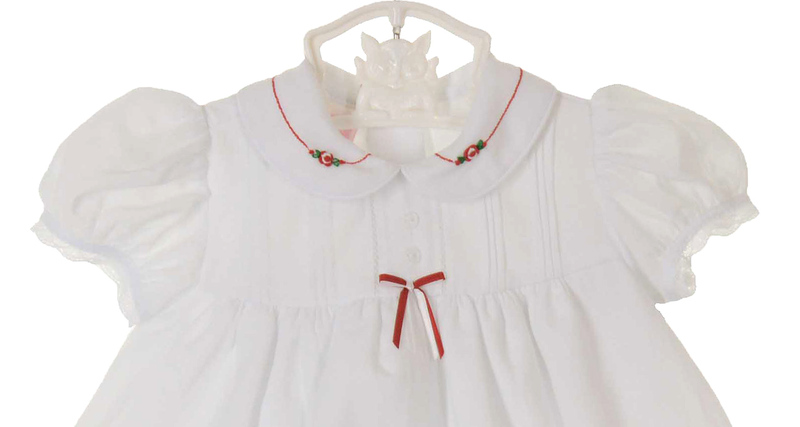 It has short puffed sleeves edged with white lace and a Peter Pan collar embroidered with red and white flowers. 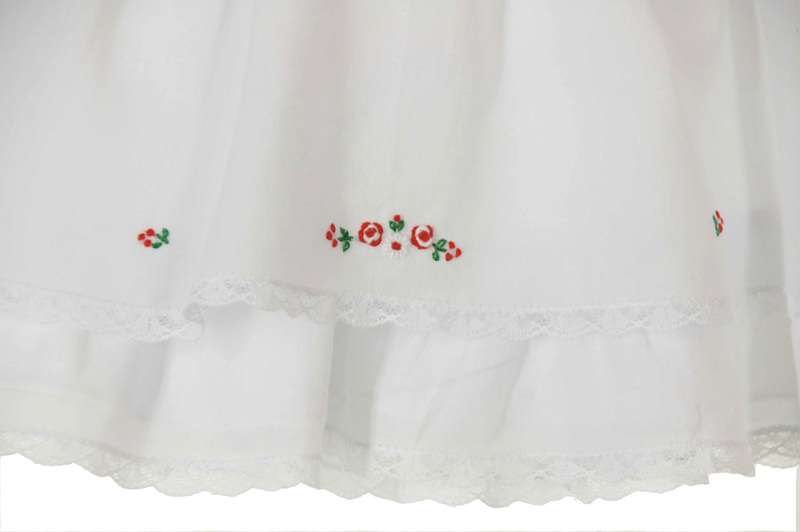 The full white voile skirt is finished with white lace below delicate red and white embroidered flowers. 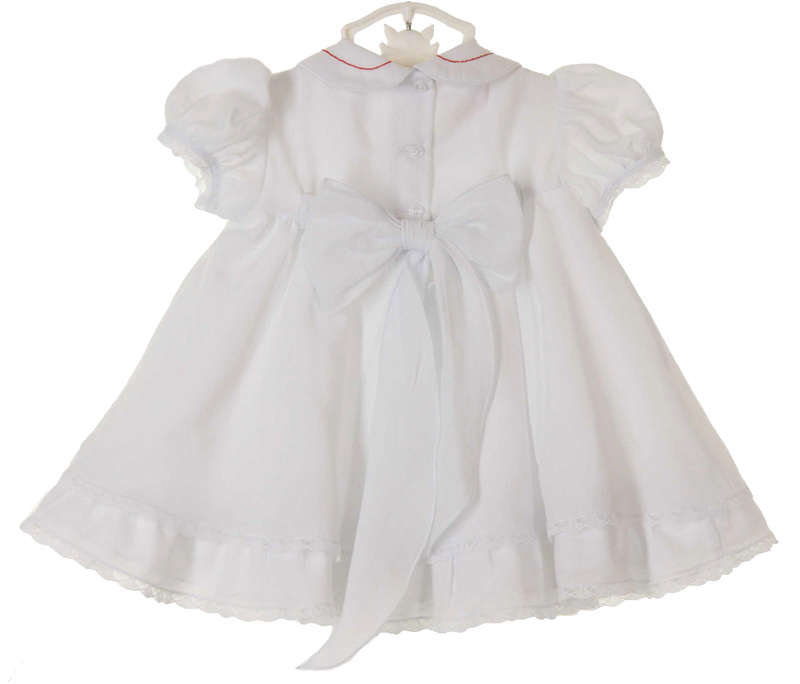 Typical of Will'beth design, the skirt has an attached ruffled white petticoat with lace trim that peeks out under the top layer for added charm. It closes in the back with three small buttons with a sweet sash to tie in a big bow. It even includes a matching white voile diaper cover! 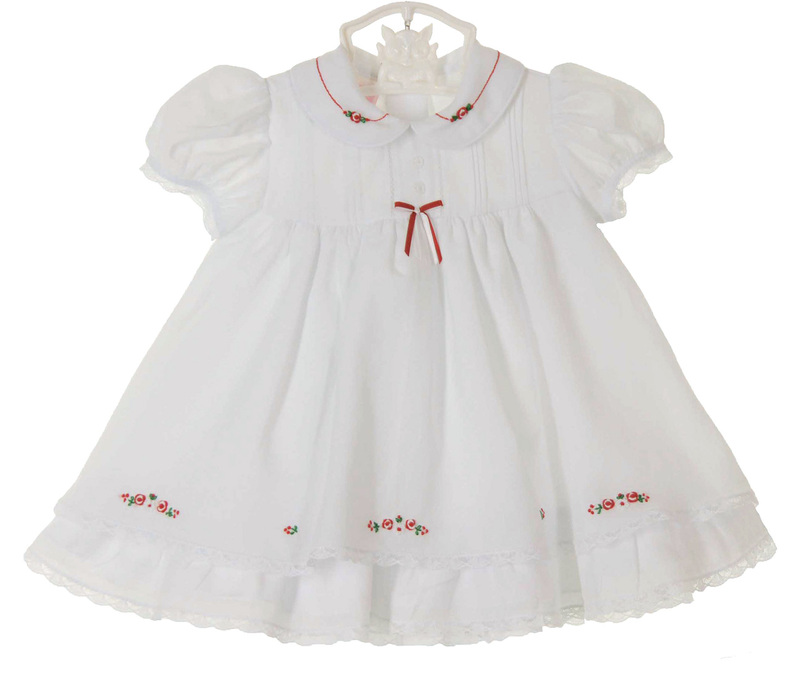 The most adorable Christmas or Valentines dress for your baby girl!